I shot the photo of this post a month ago in one of our local botanical gardens, the plant appeared strange but beautiful. I didn’t note the name so that I had to research today at home, and I do think this plant might be called White Baneberry (Actaea pachypoda). 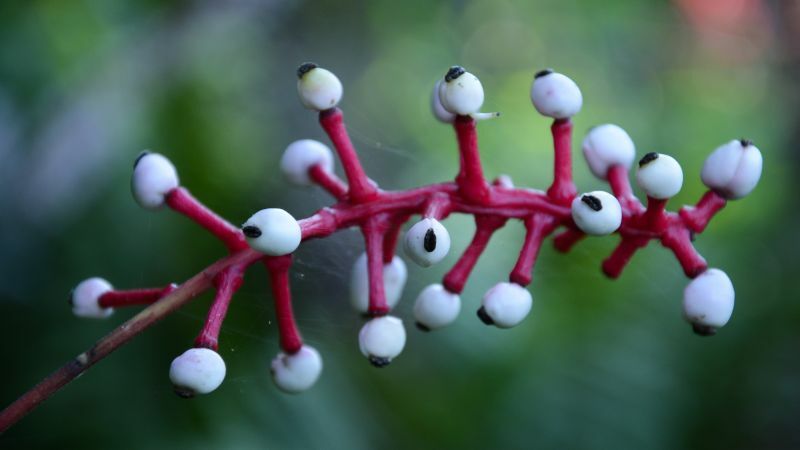 The plant is very poisonous according to several articles I have found, and you shouldn’t eat the berries because only a few of them can already make you seriously ill, and more can cause death. So, don’t eat, just examine the beauty. Anyway, it’s a beautiful plant, isn’t it? A beautiful and unusual plant. It is a beautiful and very unusual plant!